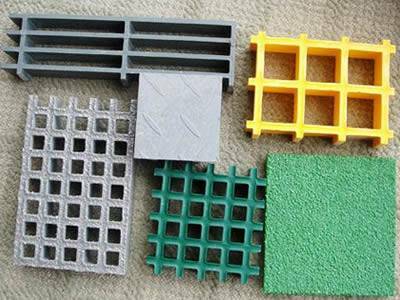 Fiberglass reinforced plastic grating (also known as FRP grating, glass reinforced plastic grating or fiberglass grating) is a composite material manufactured by combining a matrix of resin and fiberglass. 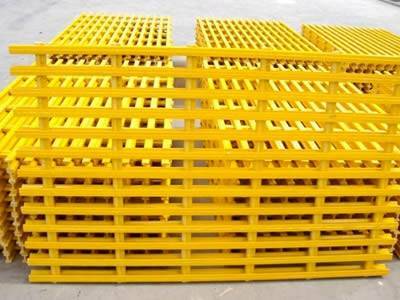 It comes in two categories: molded FRP grating and pultruded FRP grating. Fiberglass gratings does not corrode like steel gratings and are therefore used in corrosive environments to reduce maintenance costs. 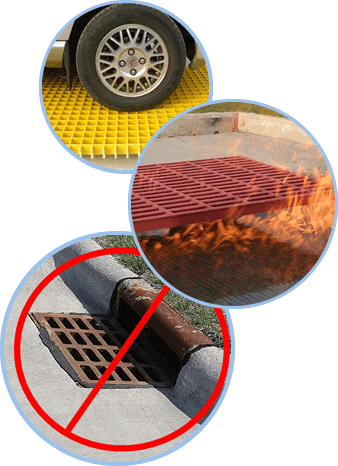 Why choose Pursuer's fiberglass gratings? Molded and pultruded fiberglass gratings are known for their ability to provide corrosion resistance in harsh environments and chemical exposures. 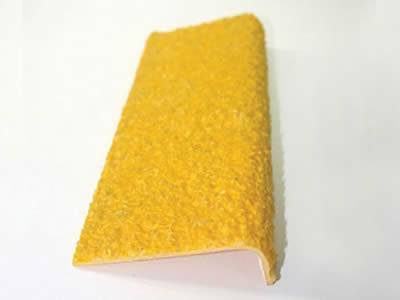 Standard concave or added gritted surface has unmatched slip resistance that improves safety for workers in all applications. Flame spread rating of 25 or less, as tested in accordance with ASTM E-84, and meets the self-extinguishing requirements of ASTM D-635. 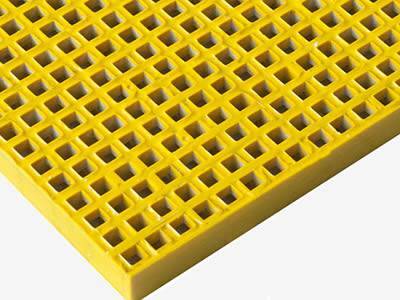 Fiberglass grating has low thermal conductivity which results in a more comfortable product. Light weight with high strength. With less than one-half the weight of steel grating, fiberglass grating is light weight for easy removal, and its high strength to weight ratio allows for greater load bearing capacity. Easy installation and free maintenance. 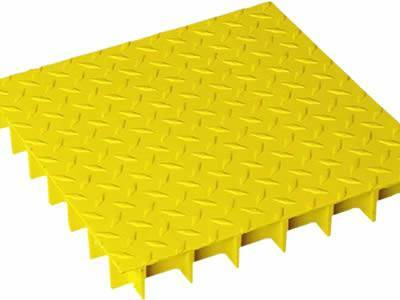 Compared to other products, due to ease of fabrication and light weight, fiberglass grating eliminates the need of lifting heavy equipment, which reduces construction cost. With excellent corrosion and impact resistance in demanding applications, fiberglass gratings have improved service life than traditional materials. Fiberglass grating costs less than metal gratings, and it has low maintenance, making it a cost effective solution for commercial, industrial and other related applications. Pursuer's fiberglass gratings provide solutions to industries where corrosion resistance, weight reduction, low maintenance, safety and long service life are needed. The following are some examples of industries and applications. Food & beverage processing plants. Offshore drilling & production facilities. Pursuer is proud to maintain the ISO 9001:2008 registration reflecting our implementation of a robust, fully documented quality management system. DNV certificates contain information about products and manufacturers found to comply with international standards. Pursuer is an approved manufacturer of gratings for marine use. ABS (American Bureau Of Shipping) certifies that products perform reliably in the marine and offshore environment. Pursuer's molded and pultruded gratings are all certified. 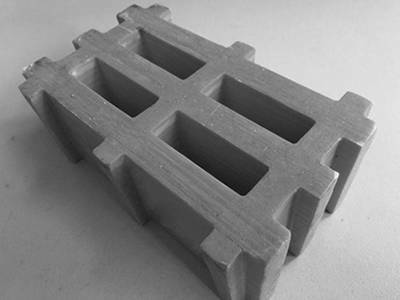 We offer molded & pultruded FRP gratings approved by USCG, meeting Level 2, Level 3 fire integrity, suitable for offshore oil platform, coal mines and other places of emergency escape or rescue. Molded fiberglass grating, made by a mold with glass strands laid criss-cross and sealed with resin, offers corrosion resistance and high strength. Pultruded fiberglass grating, with I bar, T bar and heavy load bar styles, has unidirectional strength for applications that need larger spans. FRP mini mesh grating, with smooth/gritted/concave surfaces and various colours, is ideal for fixed platforms, marine decking, walkways and stairways. 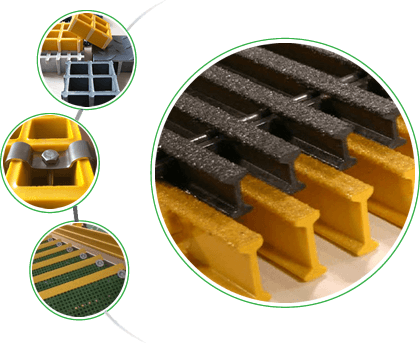 Heavy duty fiberglass grating, designed with ultra heavy load bars, is an ideal solution for trench drains and areas where heavy loads are required. Covered fiberglass grating is made with fiberglass plate cover secondarily affixed to the molded or pultruded gratings, ideal for heavy foot traffic. FRP stair treads provide slip and corrosion resistant footing for indoor & outdoor stairways, molded and pultruded grating styles are offered. 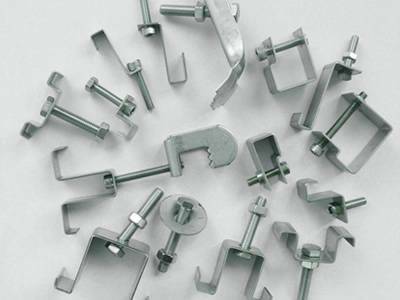 Fiberglass grating clips come in a variety of styles and sizes to secure grating or plate to the supporting structure. 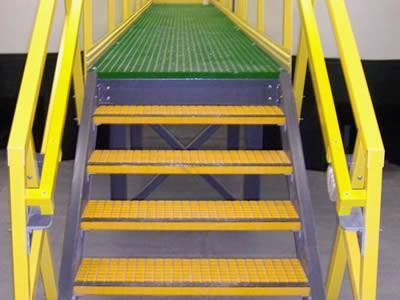 FRP stair tread covers are a convenient way to provide a solid, slip resistant footing for existing metal, wood or concrete steps. Molded FRP grating is made by interweaving continuous glass fibers, thoroughly wetted with liquid resins, to desired thickness and dimensions. Pultrusion is a continuous process whereby reinforcing fibers are saturated with thermoset resin and guided into a heated die to form a part. I was really impressed by the whole service from inquiry to delivery, fantastic purchasing experience. Would use again. Thank you! A very professional team. These gratings help me a lot in the project. Good quality, rapid delivery. Highly recommended.